This rainbow spectrum print dress by Wild Things Dresses (also at top) on Etsy is so bold and bright, it looks like it popped out of a gorgeously illustrated children’s book, doesn’t it? I would totally sport for UK shipping on this gorgeous handmade dress. We’ve been fans of kid leggings from The Trendy Tot for awhile now — they’re cute as can be, for one thing. 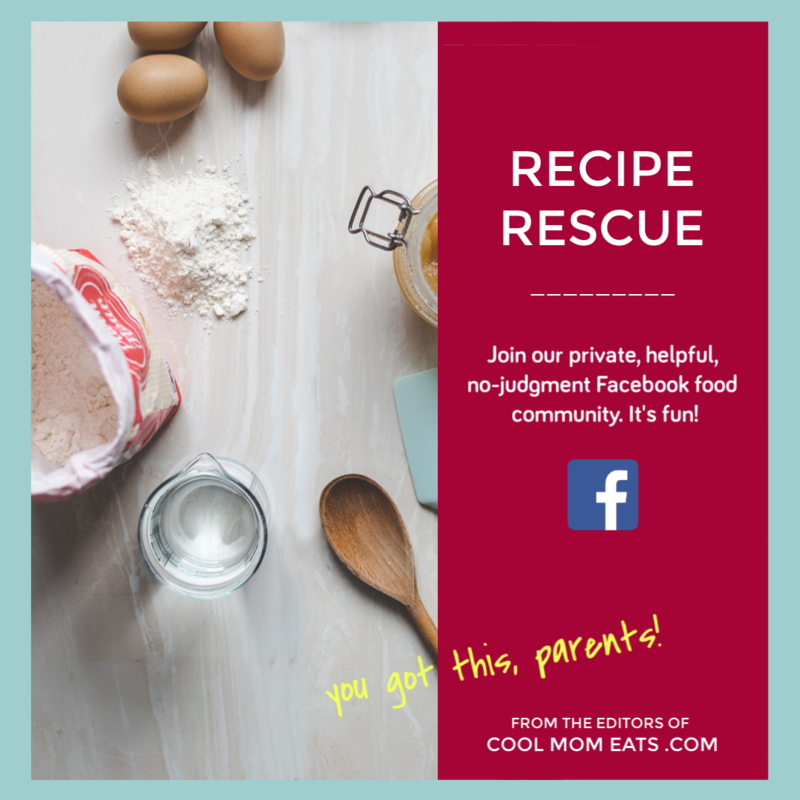 But they’re also practical, because those adorable cloud patches on kids’ rainbow leggings are functional; they reinforce the fabric, lessening the chances that a kid will put holes in the knee. Which ours do. Like, every week. Sigh. 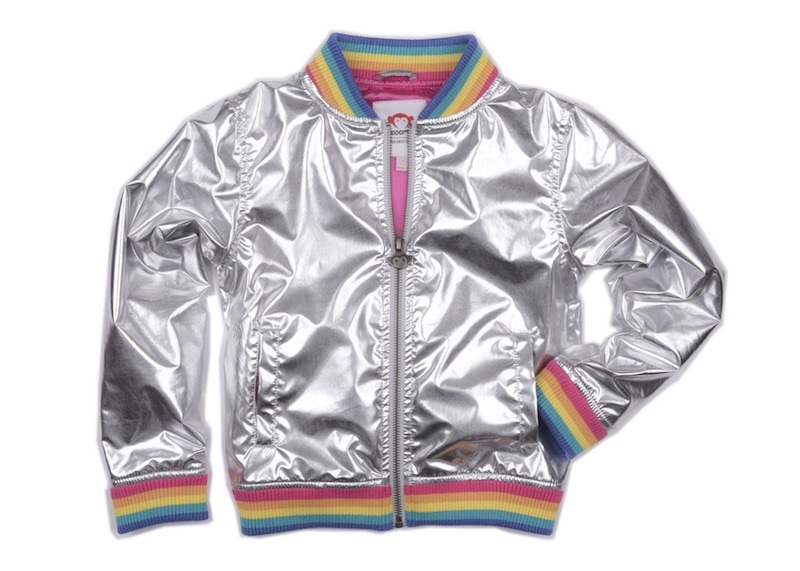 This rainbow bomber jacket by Appaman is just so unapologetically ’70s, you know your retro-stylish kid would rock it — alone, or with a pair of knee-high rainbow socks and roller skates. This rainbow terry hoodie by Hanna Andersson looks so soft — the perfect thing to slip on during that unexpectedly chilly time that happens immediately after getting out of the pool. 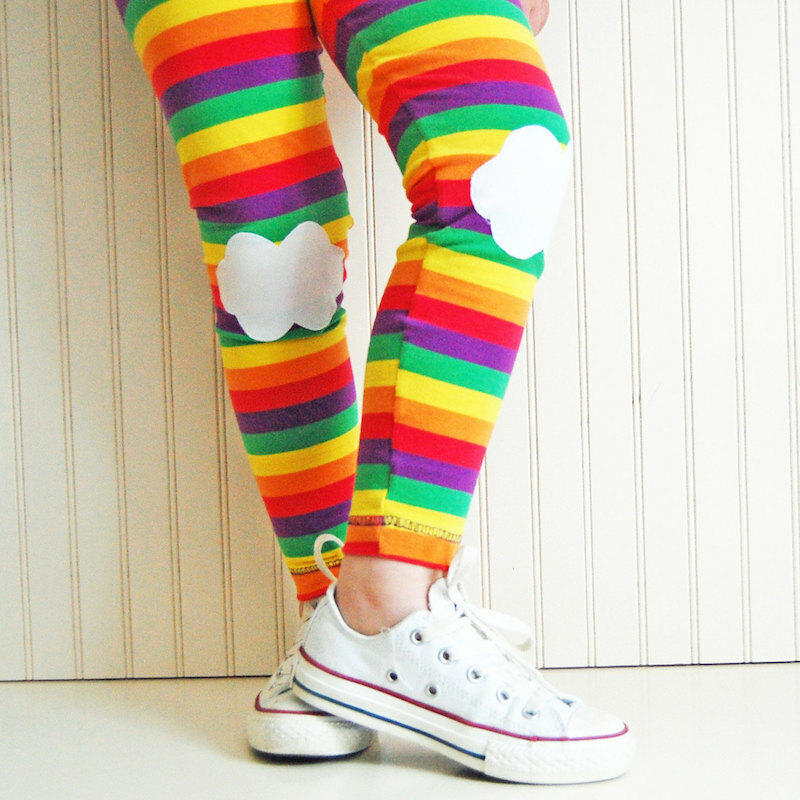 You can also get matching rainbow terry shorts to complete the rainbow theme. 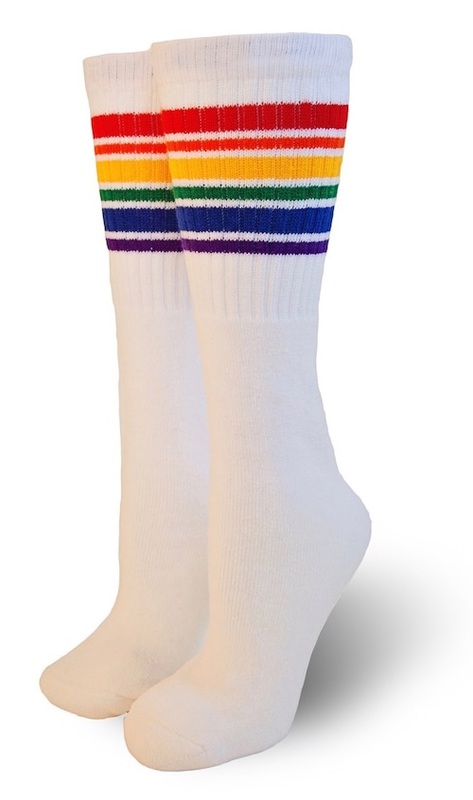 It is so hard to find classic ’70s-’80s-style knee-highs for kids these days, for some reason, so the knee-high rainbow socks by Pride Socks is such a score! I’d buy like four pairs, so that we never get stuck with a lone, single sock. I think this cute girls’ rainbow swimsuit by Boden is the epitome of what makes summer magical for kids. It’s fun and bright and so very happy. 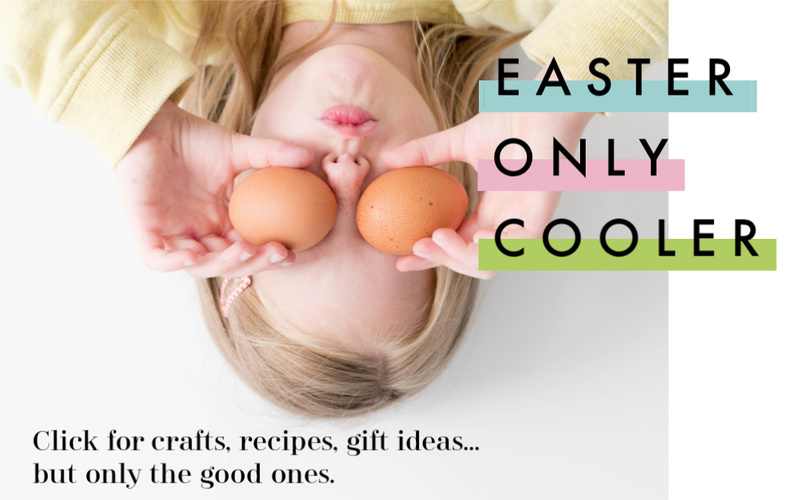 Primary is a mom-run company specializing in baby and kid clothing basics made with chemical-free fabrics — all in bright colors that you can easily mix and match, which eliminates about half of the frustration of dressing kids, honestly. 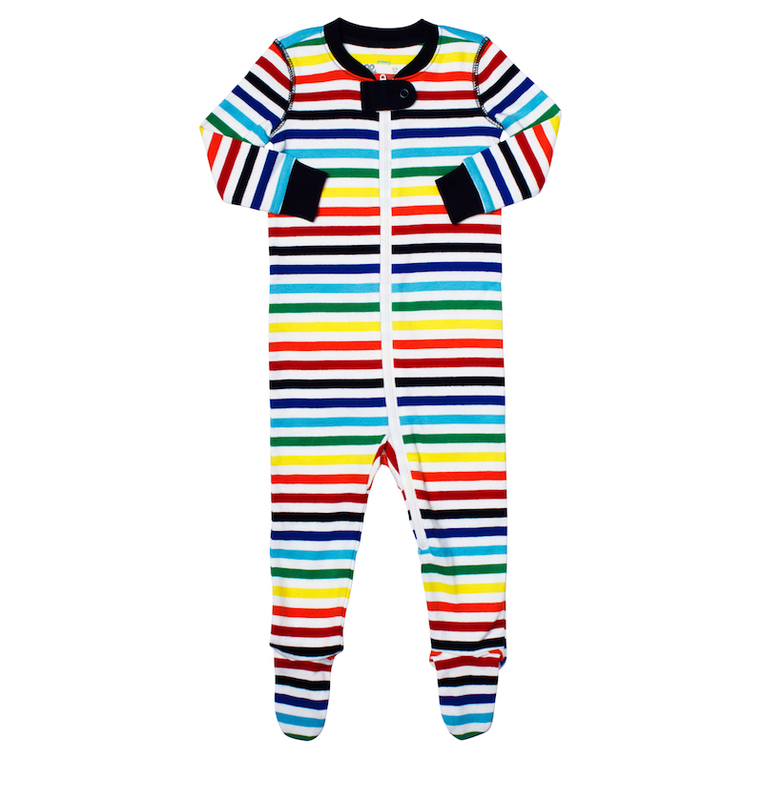 This spring, they’re launching a capsule collection that combines all of those colors into pretty rainbow styles, like this cool rainbow sleeper. I feel like I don’t even have to say much about these awesome shoes. 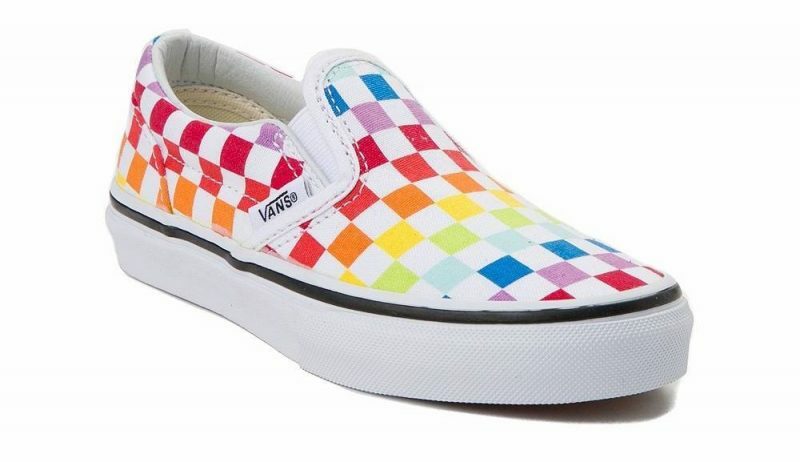 They’re rainbow checked Vans which I found at Journey’s. Boom. 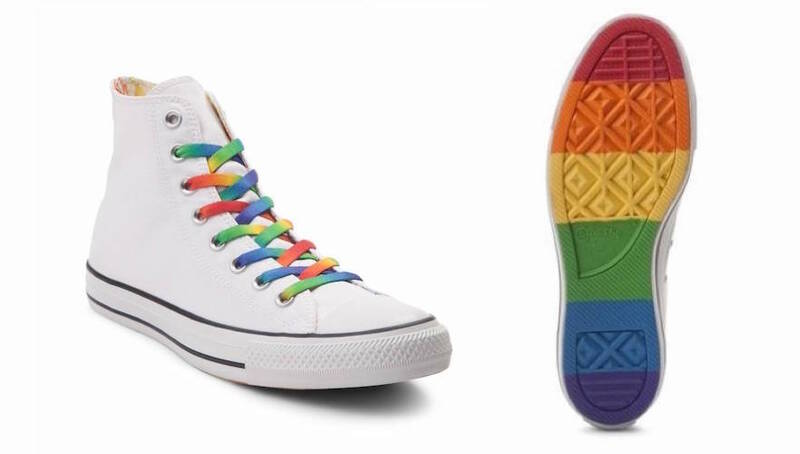 For another cool rainbow sneaker option, check out the rainbow Converse Chuck Taylor All Stars. They seem more subtle from the top….and then you see fun sweet rainbow soles. What a cool detail. 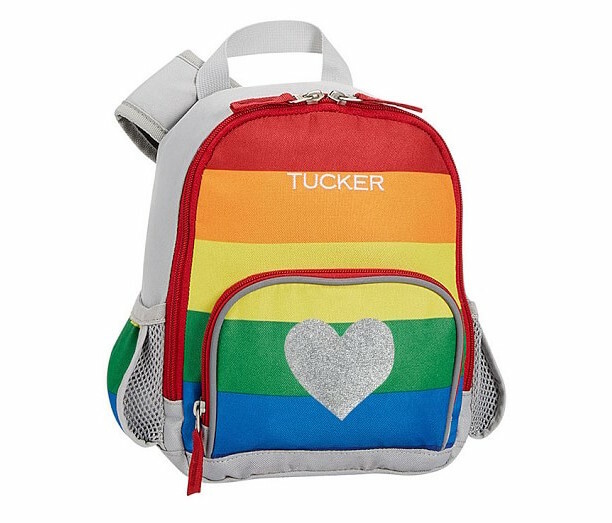 When you find a quality kids’ bag that will last all year long, you’ve got to hang onto it — which is just one reason I love this cheery rainbow stripe backpack from Pottery Barn Kids. I also appreciate that you can customize the bag with an icon, which takes it from pre-K to pre-teen in one fell swoop. I can see my fifth-grader loving the silver heart above, while my second-grader would probably pick the shark. Want just a little bit of rainbow instead of a whole closet full of it? 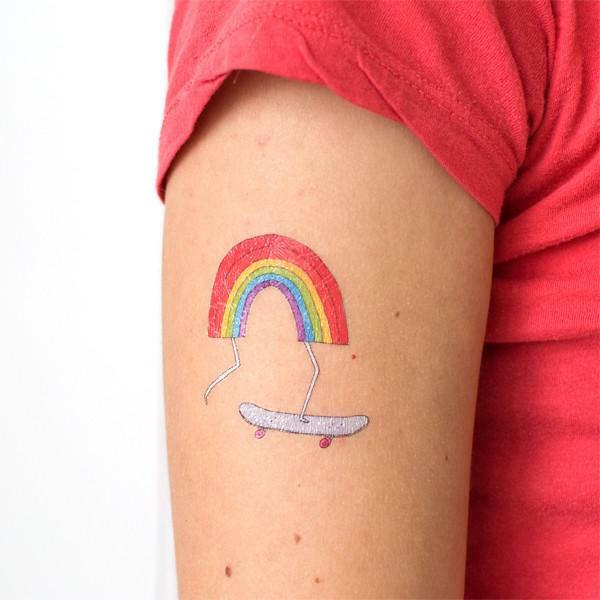 Try this fun rainbow-on-a-skateboard temporary tattoo by artist Marc Johns for Tattly. It comes in a pack of two, so your kid can share the joy of wearing a rainbow on a skateboard with a friend — or maybe even with you. Then, like a real rainbow, tomorrow it will be gone.